Our Page Project Outsourcing (PPO) experts are all trained in the methods and tools of PageGroup, whose expertise in recruitment is well-known in Asia Pacific and throughout the world. 2. 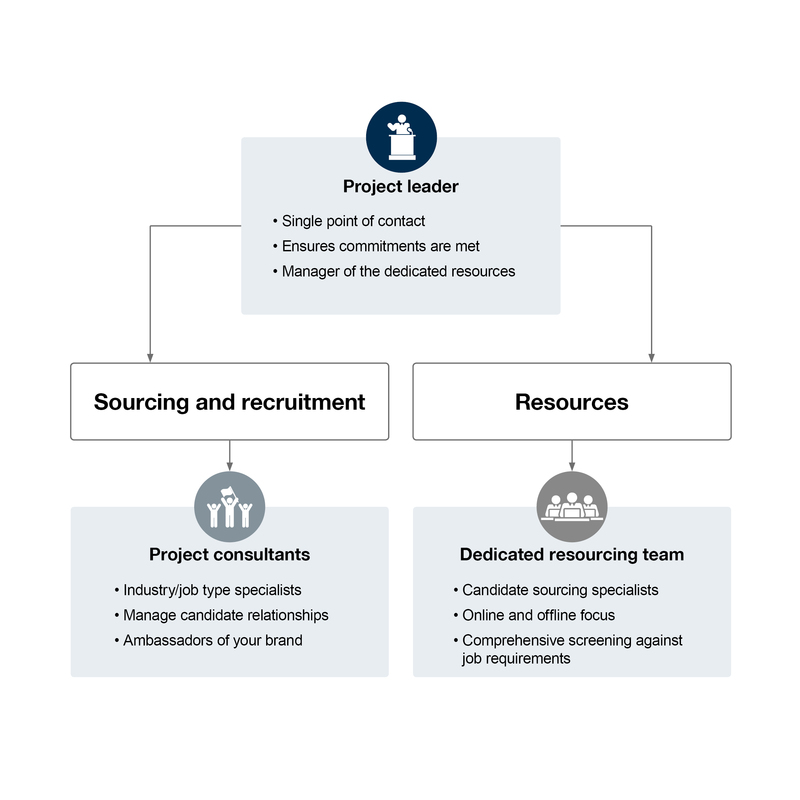 Project consultants are selected for their familiarity with the specialisations to be filled,using sourcing and selection techniques relevant to the level of the position. They take the role of an adviser at each stage: providing an understanding of the positions and the profiles, executing sourcing strategy, interviewing with and evaluating the candidates, presenting resumes and other candidate information. They are able to help and coordinate professional behaviour tests and aptitude assessment tests if required. For your support services, PPO appoints a dedicated project leader to be one clear point of contact for you. We can tailor make a solution to suit your hiring needs. Request a free consultation today.